Presumably Americans close to the palace knew about these sorts of practices long ago, but kept silent—part of the stay-out-of-jail-free pass the Karzai regime has enjoyed until recently. Daudzai himself has made out like a bandit. According to my source, he’s the owner of a couple of Kabul mansions and a country house, and sends his kids to the pricey International School of Kabul (annual tuition around $6,000 per child). Dexter Filkins reported in The New York Times that he also has multiple houses in Dubai and Vancouver. The larger question, of course, concerns whether the United States ought to be worried about this influence-buying by Iran. My view is we shouldn’t panic. 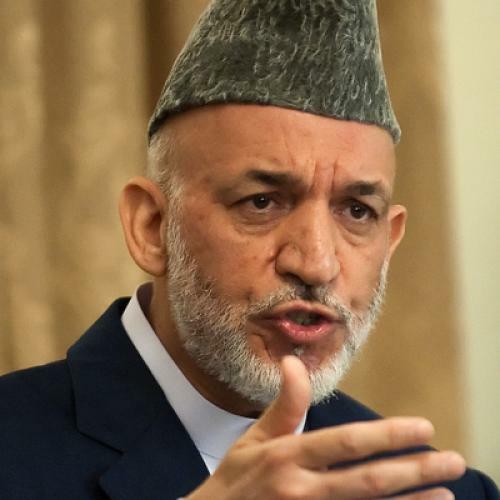 After all, if Karzai were so easily purchased by a foreign power, he would have long since done what we’ve been asking him to do and cleaned up his administration. Iran’s putative $3.5 million a month amounts to small potatoes compared with, say, the $1 billion First Brother Ahmad Wali Karzai is reported by the Times of London to receive every year for doing business with coalition forces. And presumably Karzai has access to these same funds, as well as Other Brother Mahmoud Karzai’s farflung business empire, if he needs to bribe the stray MP. The alleged transfer of Iranian IED expertise to the insurgency and the possible flow of terrorists bound for at the United States across the porous Afghan-Iranian border should worry us much more. That said, Daudzai’s clearly not a good guy, but he’s hardly alone in the Karzai orbit. If we had any guts, we’d throw the bastards out. But we don’t. History, and the Afghans, won’t judge us well. Ann Marlowe, a visiting fellow at the Hudson Institute, reports frequently from Afghanistan. She is the author of the first extended biographical study of David Galula, recently published by the Strategic Studies Institute of the Army War College.